Our Model 1451 is a three bedroom, two bath, single-level custom home. This beauty includes a finished two-car garage with large driveway, tile roof with vaulted ceilings, a private master suite with walk-in closet, an open floor plan with a large great room and Southwest styled rounded interior wall corners. Disclaimer: Because the builder has a continuous product update process, the pricing, specifications, features, options, layout and dimensions shown on this drawing, floor plan and features listing are subject to change without notice or obligation. Square footage is approximate. Construction and design specifications should not be used as actual construction data. 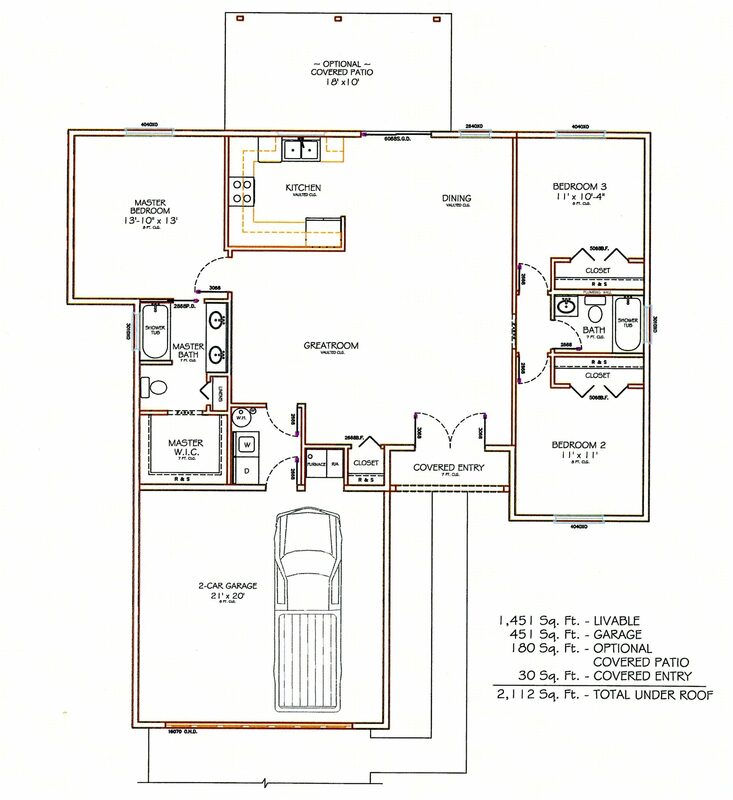 Floor plans and elevation are an artist’s conception.